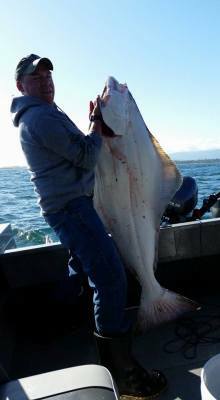 ​NorthWest Fishing Partner's would like to thank you for considering our orginization for your donations. We are a 501(c)3 foundation that is operated soley by volunteers. As such we are able to focus 100% of all donations to providing our members in need fishing trips to facilitate their Piscatorial Therapy. Throught the year we hold fundraising events to help us raise the money to afford trips to our members. NOTE: Top three sponsor levels get you top banner posting on the website and weekly social media advertising. In addition to monetary donations we also are in need of Fishing Rods, Reels and Tackle for our raffles and giveaways to our Members. On behalf of the board of directors and members we want to thank you for the opportunity for you to consider our organization for your donation.